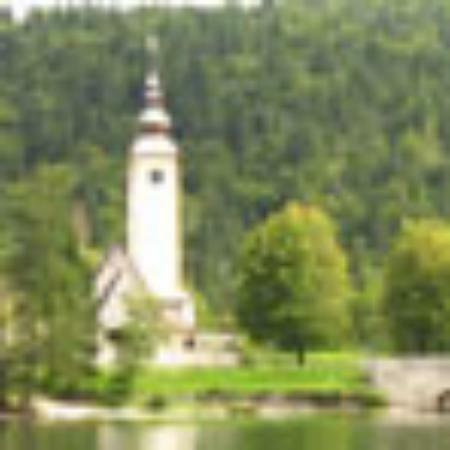 Travelled with a large group of friends (15 of us), didn't organise the rental or security deposit etc so cannot comment on that aspect (although my understanding was that it was very easy to do so). Stayed for 3 days, 2 nights. Had airport pick-up and drop-off arranged for us (which was really useful and took the stress out of a good 40 minute journey from the airport), arrived at the villa and were shown around each of the rooms. 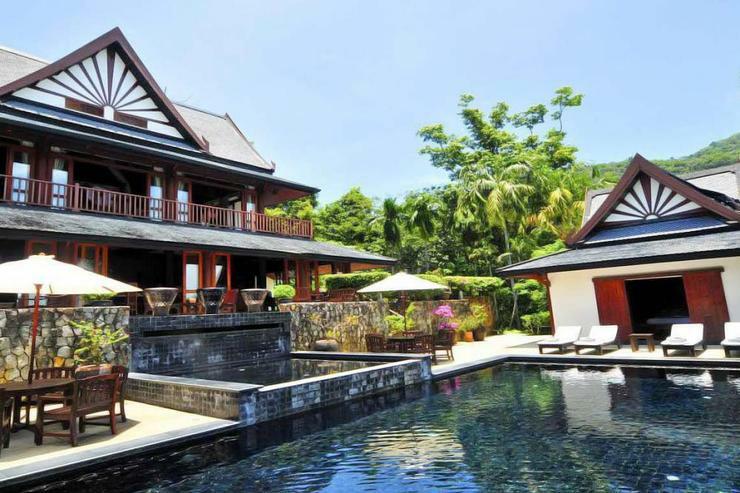 There are three rooms in the main house (including the amazing master bedroom), two separate poolside rooms and two rooms underneath the pool area. All rooms are easily accessible, have double beds with fresh linen, towels and most had dressing gowns and all have ensuites, they were cleaned daily. We then decided on food for the weekend - we had breakfast provided and cooked for us on each day (a thing to wake-up to) and a BBQ on the Saturday night. We paid for this at the end of the weekend and this was all very reasonably priced. The pool was lovely and clean, with seating shelves in the deep end to relax on when your feet could no longer reach the bottom and a beautiful view out onto Kamala Bay, although it was rather cold this was a welcome relief from the heat! Pool towels are also provided, although I would say that only 8 pool beds for a villa that sleeps 14 people was a bit disappointing. 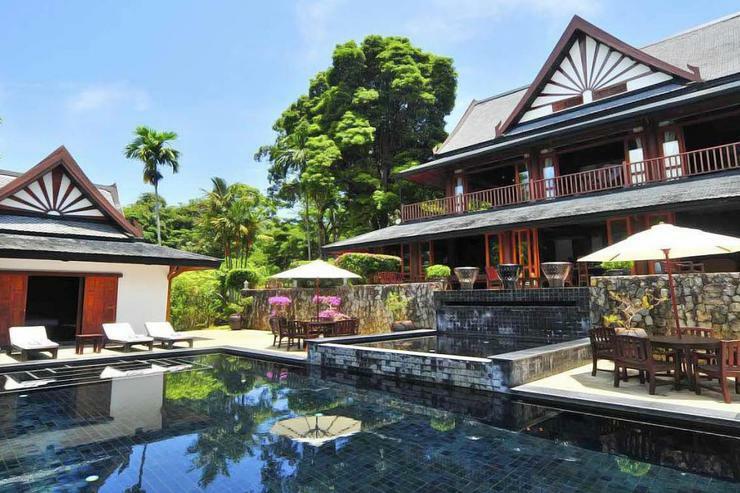 Overall a lovely weekend away in a beautiful villa where you're very well looked after. 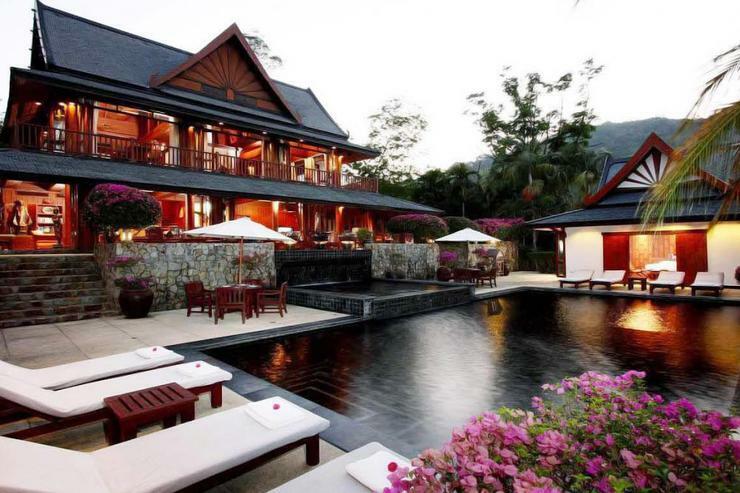 Lovely HUGE holiday home. We stayed for 2 nights with a group of friends for a birthday party. 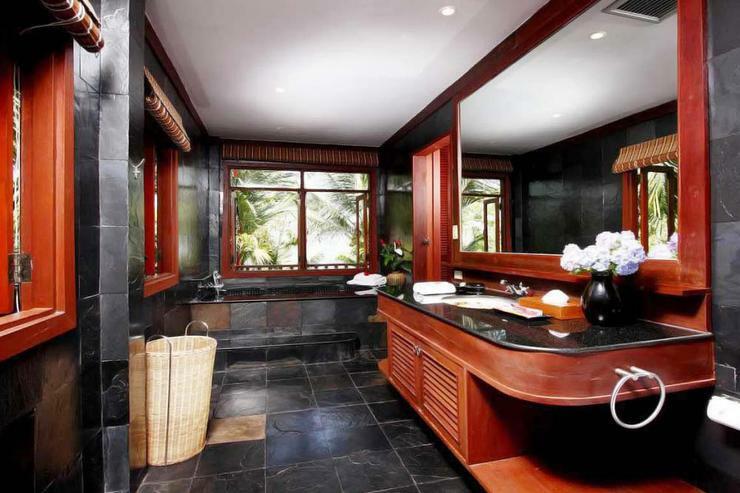 The common villa and rooms are a not completely new anymore, but the bathrooms in the villas by the pool are beautiful. The manager S, was extremely nice and always there when we needed her. Can't believe she manages more villas as it looked like she was there within 5 min if we wanted something. The view from the villa is extremely beautiful. And gives a secluded feeling. 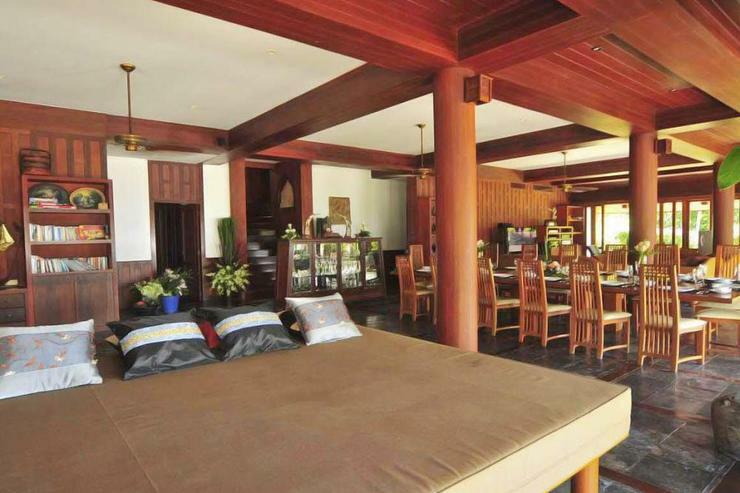 The villa is in Kamala so not in party center Patong. But taxis are very easy to book via grabtaxi. If you want food or anything just order and they will get it for you. Just pay a little bit extra but totally worth it as its uphill. On about 15 min walk you have a 7/11 and restaurants in case you want to leave the villa. 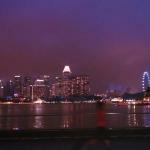 I will definitely come back. 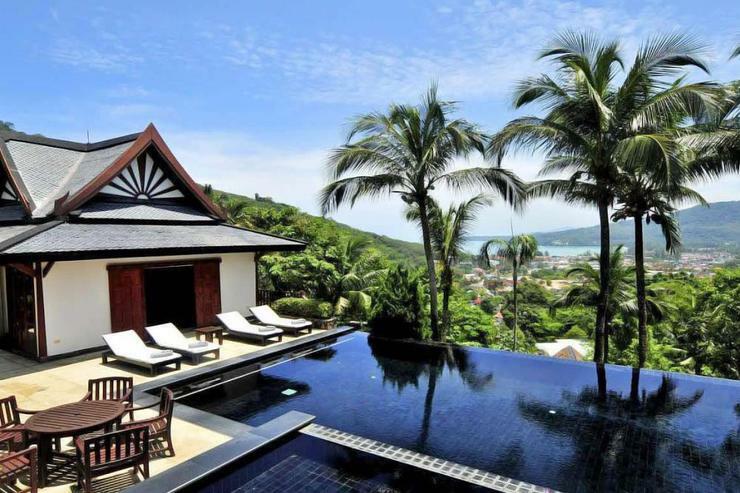 A seven bedroom luxury villa is located in Kamala, Phuket with sea views. 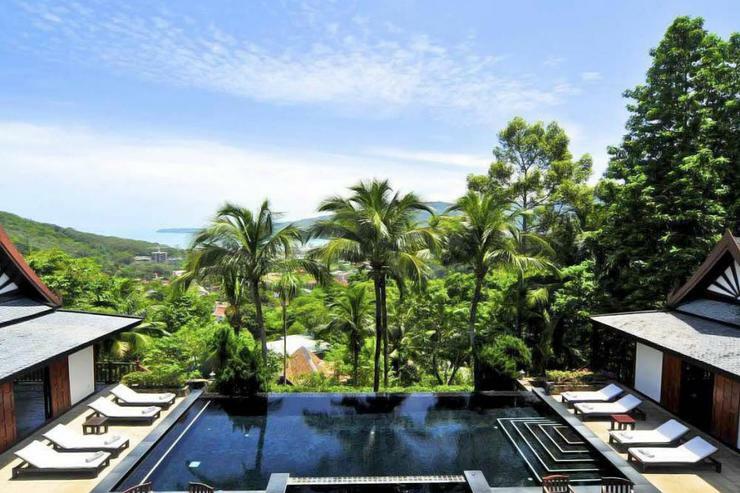 A short walk down the Naka hill and through a small Thai community brings you to the beach. Otherwise, the drive will only take about one minute. 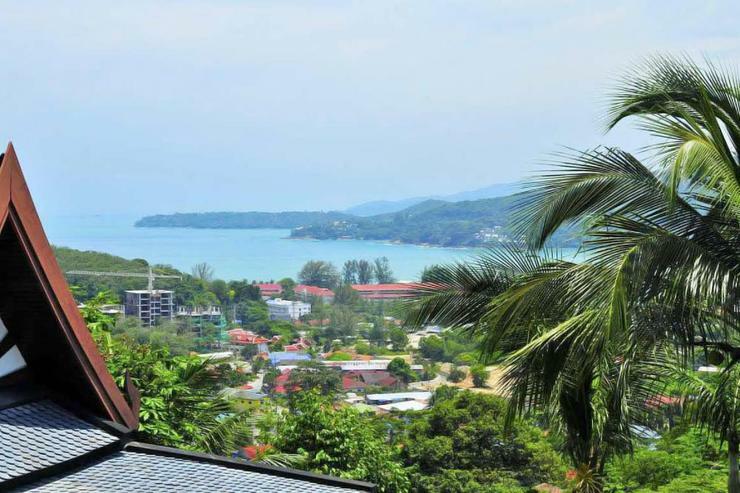 Kamala Beach is a beautiful beach with incredible sunsets. 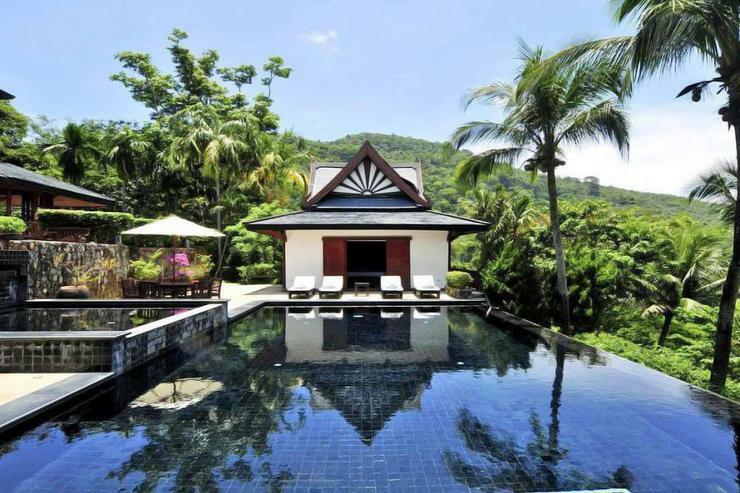 Long walks along the beach while stopping for a refreshing watermelon shake and soaking in the sun and returning to your beautiful Thai villa are just what you deserve. 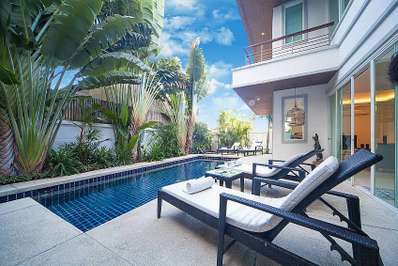 Distances: Patong Between 5 to 10 min, Restaurants, bars, shopping 1 min, Nai Harn Beach 35 min, Rawai Beach 40 min, Chalong Beach 45 min, Phuket Town 35 min, Kata Beach 20 min, Karon Beach 15 min, Kamala Beach 1 min, Surin Beach 15 min, Bang Tao Beach 20 to 25 min, Layan Beach 30 min, Airport 45 min. 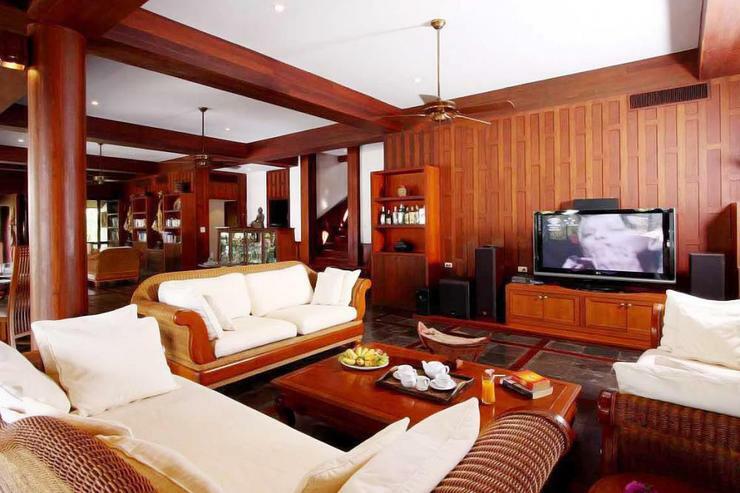 * Villa Japonica (40 meters below) can be added to increase total capacity to 10 bedrooms. 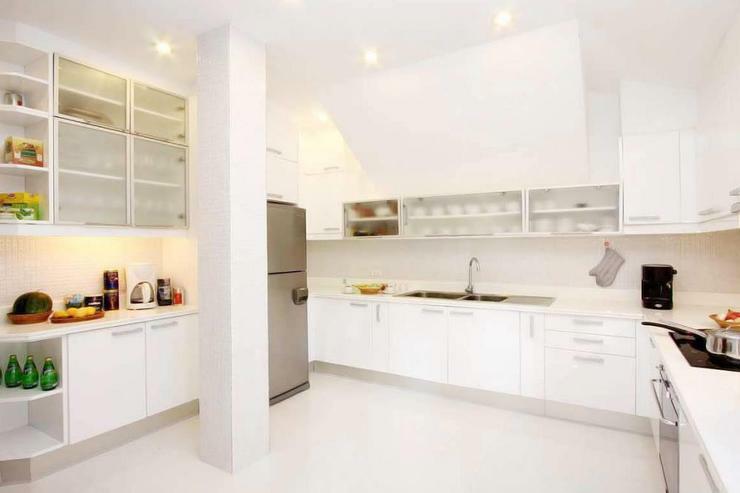 * Daily Chef (Thai food and some western basics) to prepare all meals (08 am to 20 pm)(cost is only ingredients at market price + 20 % service charge), barbecue available too. * Deposit payment and balance payment are non-refundable unless another booking can be confirmed on the same dates for the same rates. 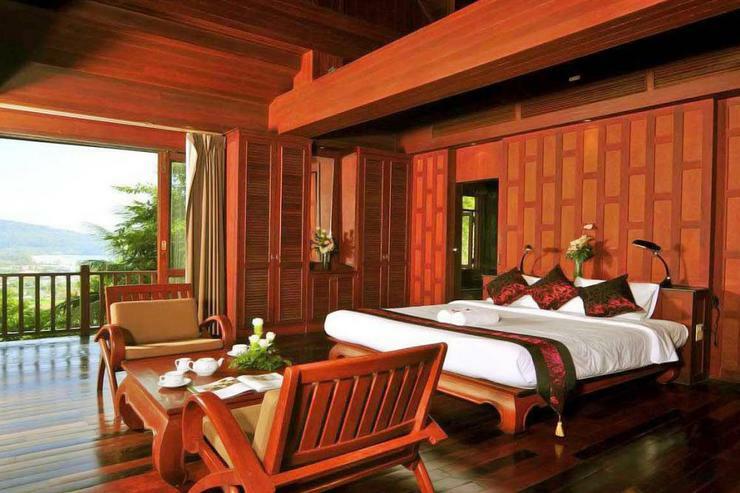 * Guests keep the amount paid as credit during one year with the possibility to schedule an another stay. * Guests are required to send a detailed email with their reason for cancellation as soon as possible. * It is highly recommended that guests purchase an insurance policy. * Booking deposit is minimum 30% to secure reservation. * Balance payment: Paid a minimum 30 days before arrival. 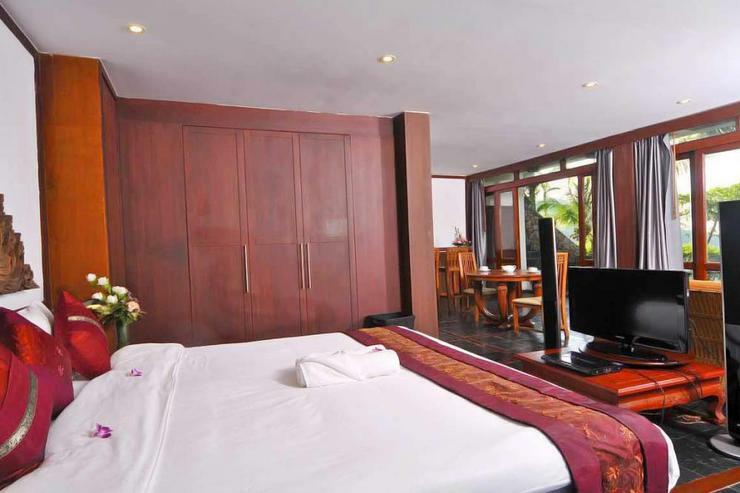 * Security deposit: from 1,000 to 3,000 USD depending the booking specificities (or equivalent in other currency) due on check in date cash or at the same time as balance payment and returned on check out date. * Important, for booking minimum 05 nights: If you need or wish an earlier check-in (after 08:00 am) or/and late check-out (before 22:00 pm), our policy is to offer these without extra cost, we just need to know in advance for manage our rental calendar and obviously when it is possible. 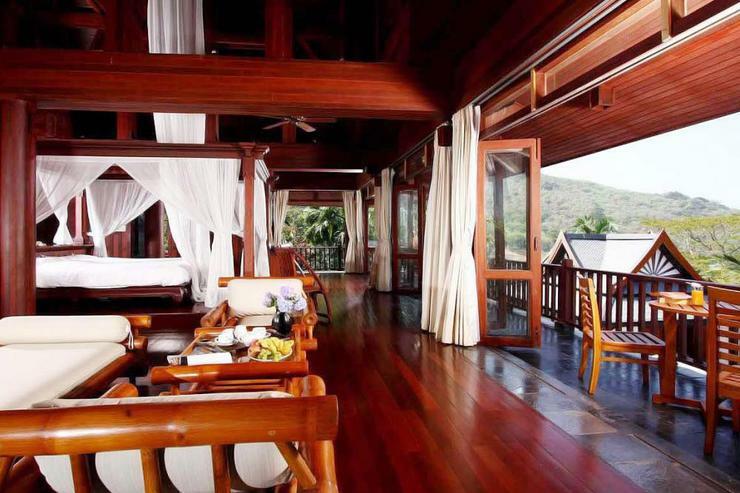 * Guests must respect the staff and the villa, in case of unacceptable behavior the guests will be asked to leave without compensation. 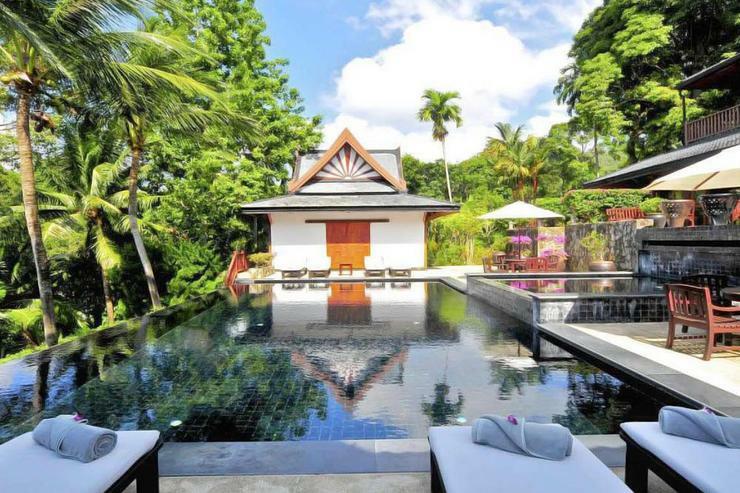 This unique villa truly inspires Thai living. 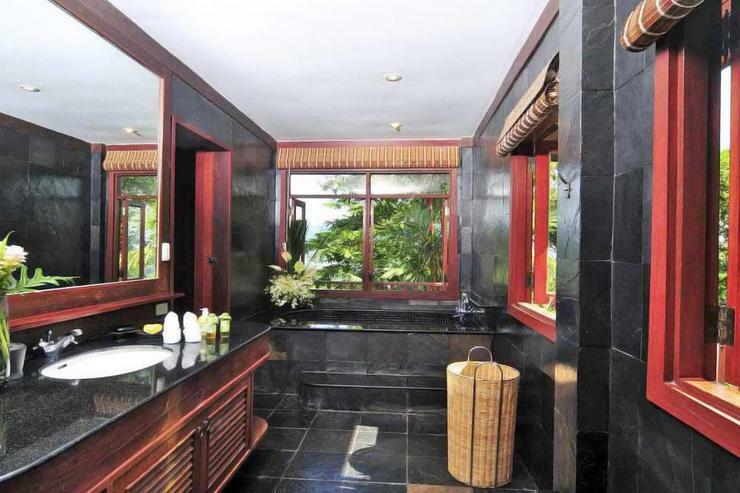 Surrounding nature and true tropical and exotic style. Privacy like this is truly rare. 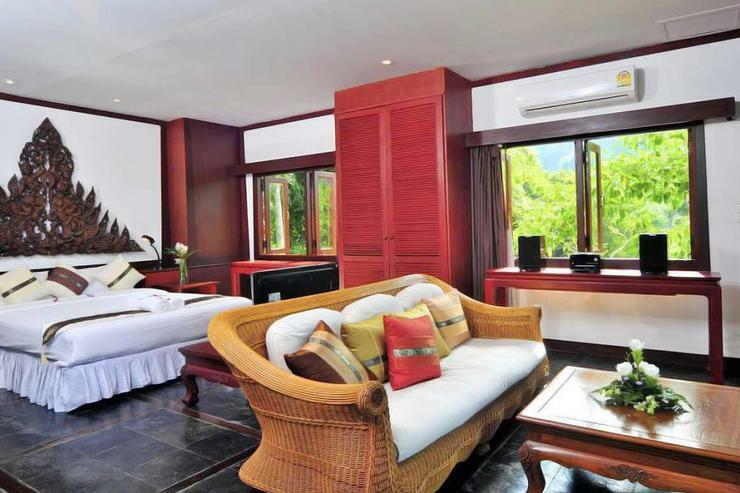 The villa comfort level is extremely high and can easily cater for 14 adults with children/babies in absolute comfort. 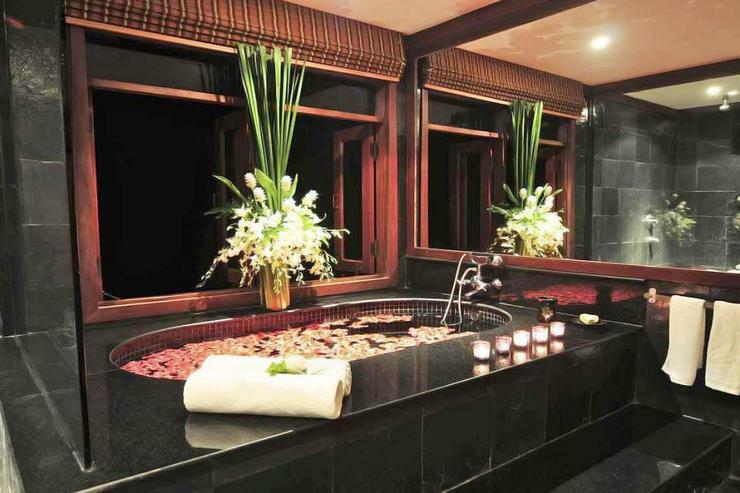 Each bedroom has an en suite bathroom. Three bedrooms have cathedral ceilings. 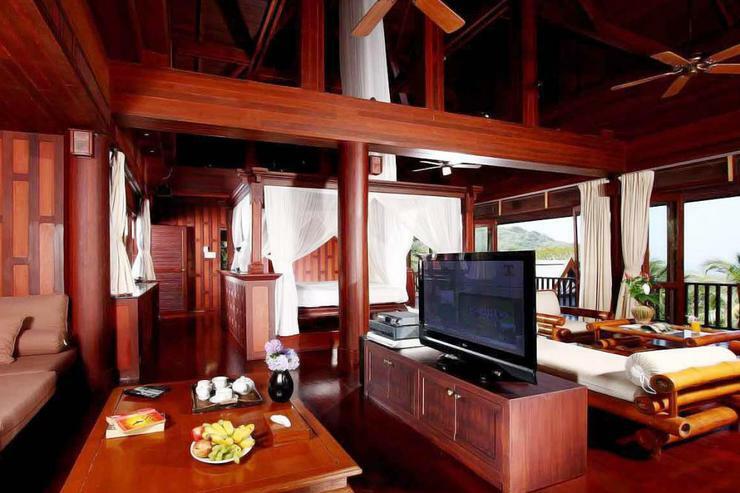 Five bedrooms have sea and jungle views. 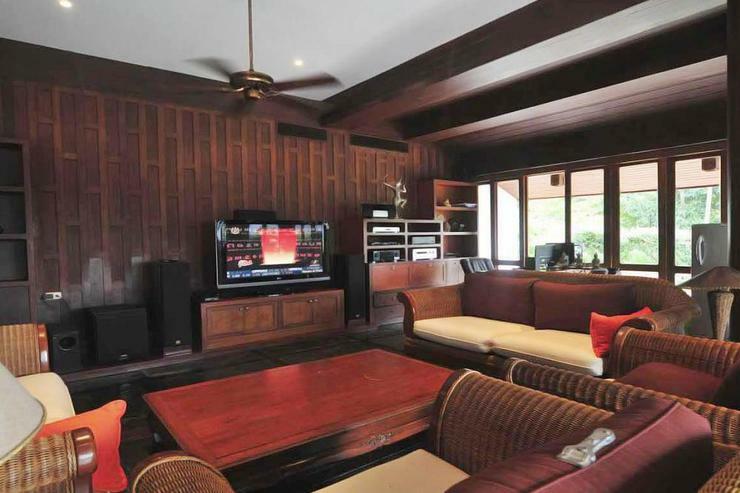 The main villa living room opens to large patio with seating arrangements, dining table, massage day bed, computer desk and big smart T.V lounge. 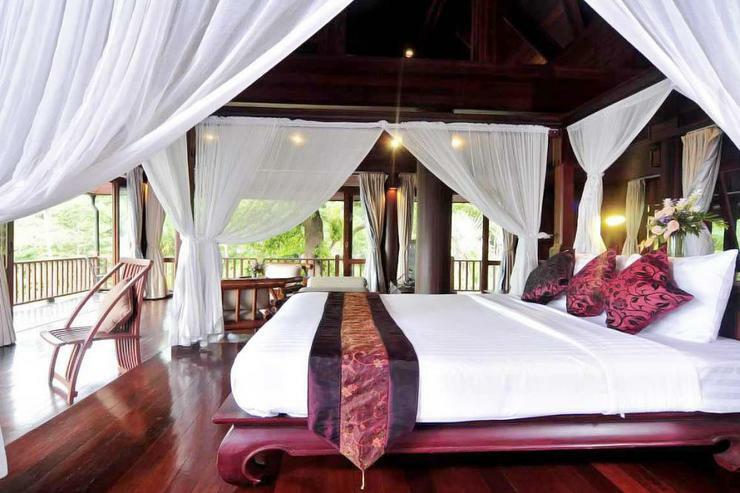 The master bedroom takes up the entire top level of the main villa and has wrap around balconies with sea views. 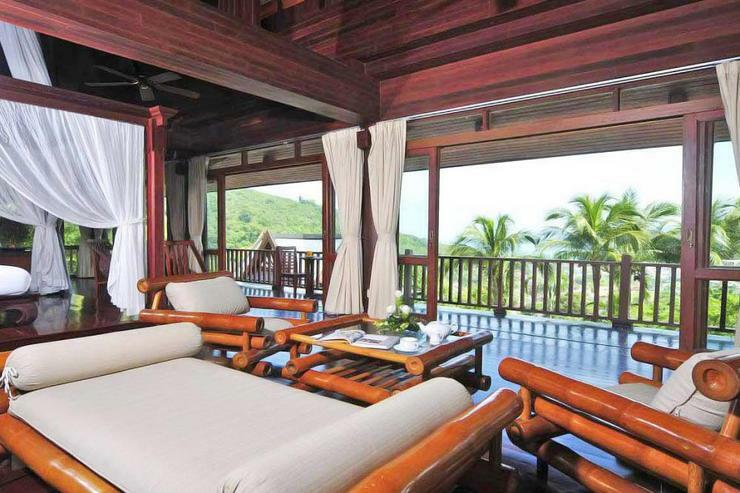 In addition, each poolside bedroom has a living area and wrap around balconies as well and sea views. 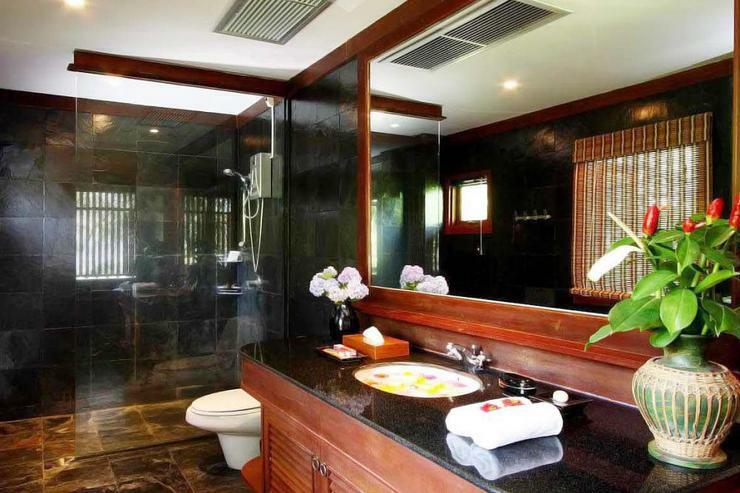 The poolside villas en suite bathrooms have a separate bath and shower. 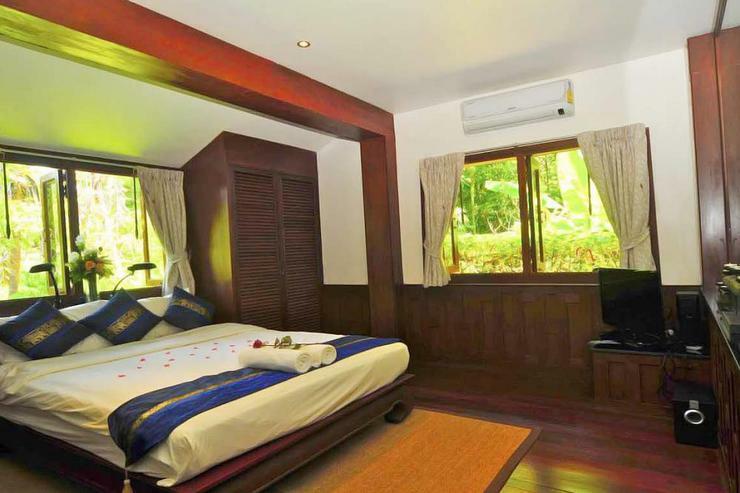 The fourth and fifth bedrooms are located on the same level as the living room in the main villa. 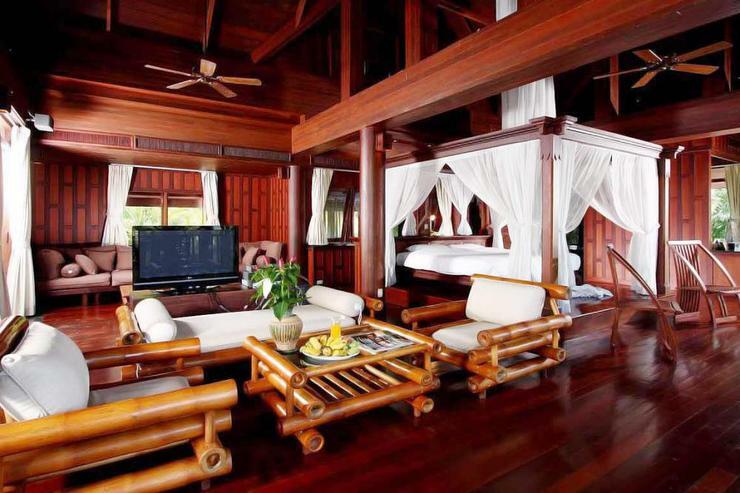 Each bedroom is at extreme opposites with the kitchen and staircase to the master bedroom in between. 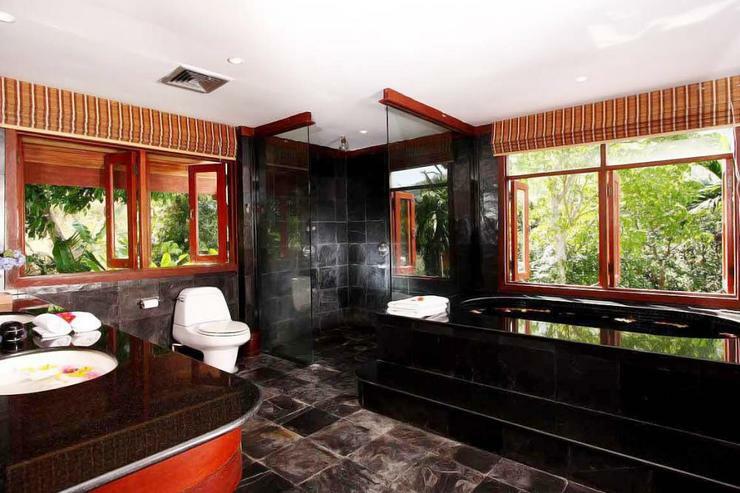 Bedrooms four and five also have an en suite bathroom with bath and shower incorporated as one. 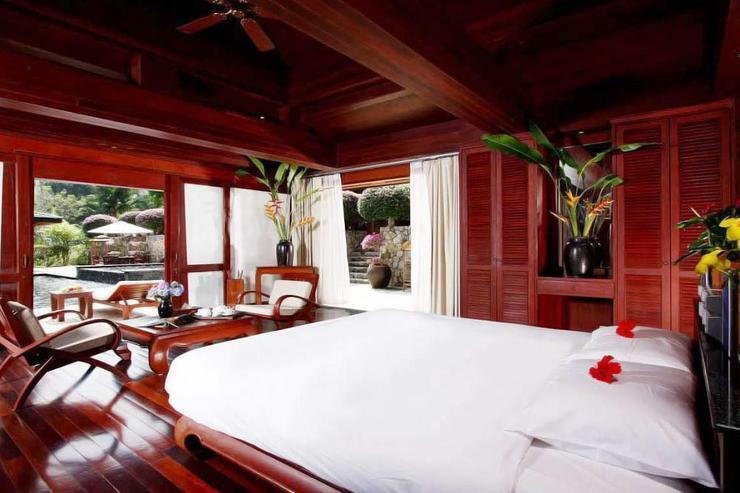 These bedrooms are a nice size and have nice views to a Japanese garden and a koi fishpond. 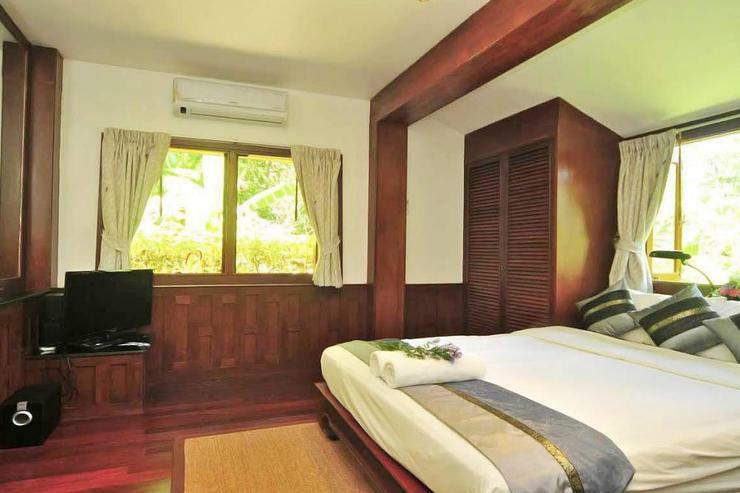 Bedrooms six and seven are located on garden level in pool pavilions and have en suite bathroom with shower. 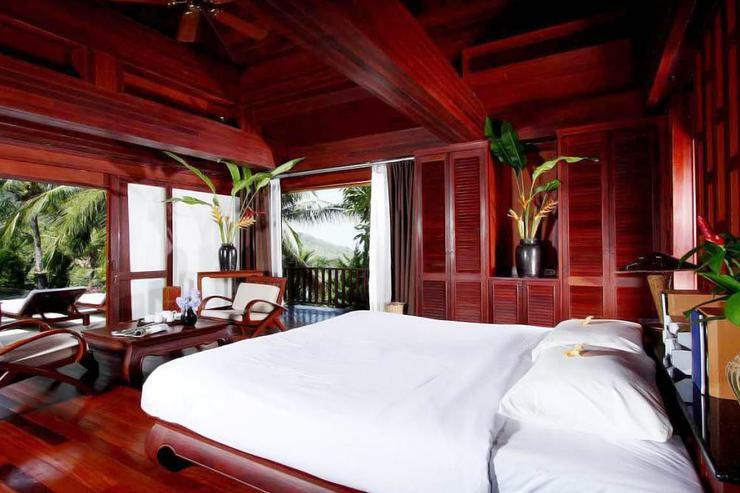 These bedrooms have also a private terrace to enjoy intimate and tropical views. 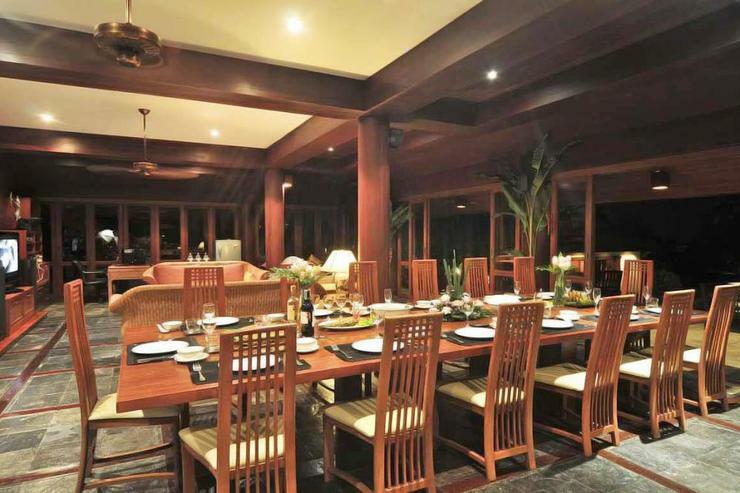 The villa is serviced with daily housekeeping. All towels and linens are provided. Beach towels as well. 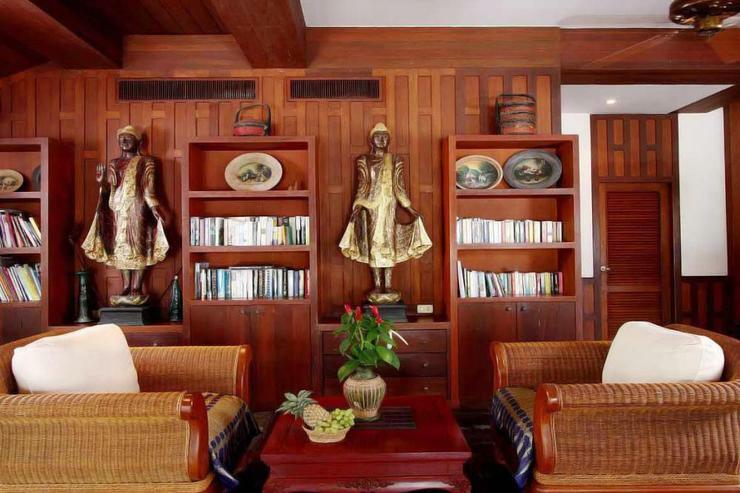 The housekeepers have babysitting experience. Management speaks English and French. 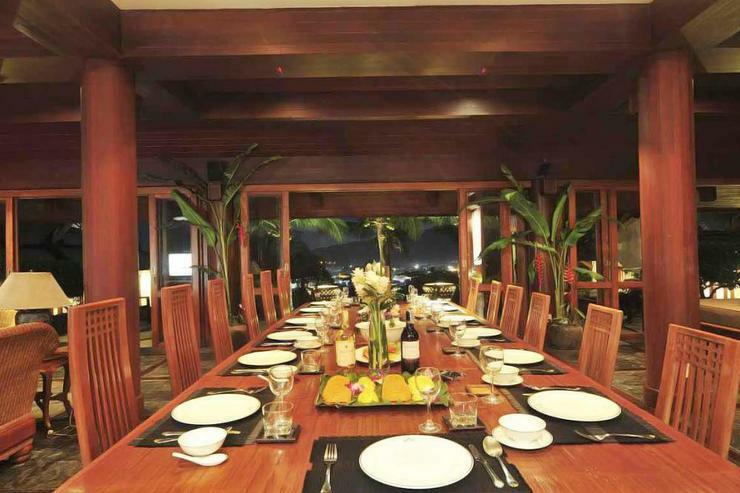 A chef cook is available to prepare all your meals (menu in villa). She can cook Thai cuisine to an expert level and some European dishes as well. 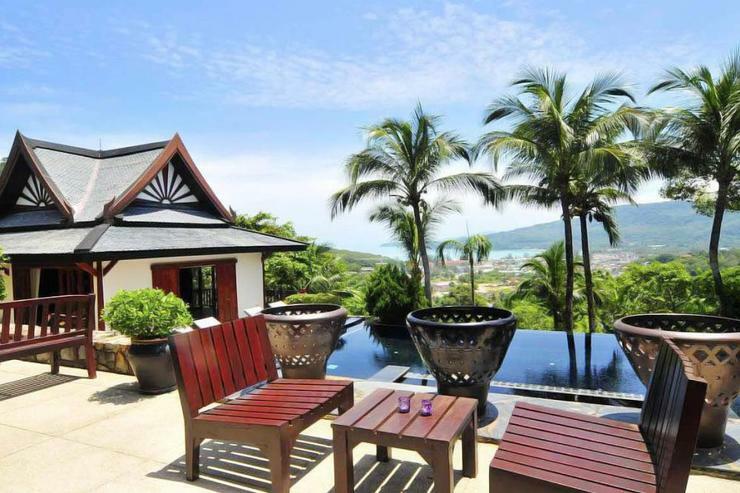 A short walk down the Naka hill and through a small Thai community brings you to the beach. Otherwise, the drive will only take about one minute. 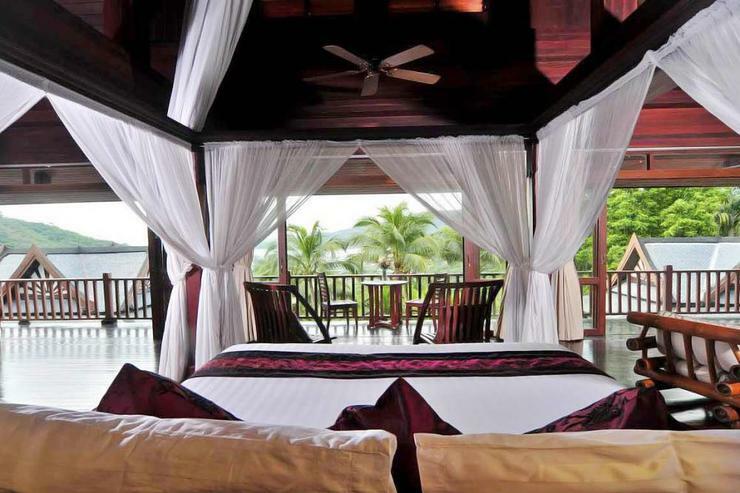 Located in Kamala beach, Phuket. 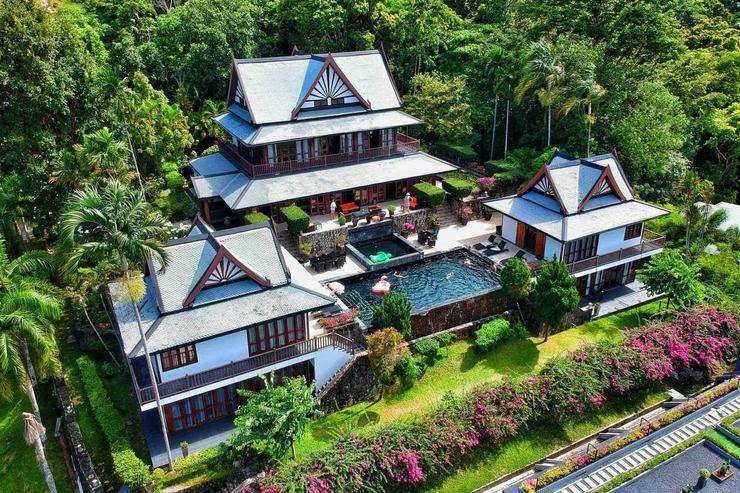 Villa Niyati is a in Thailand. 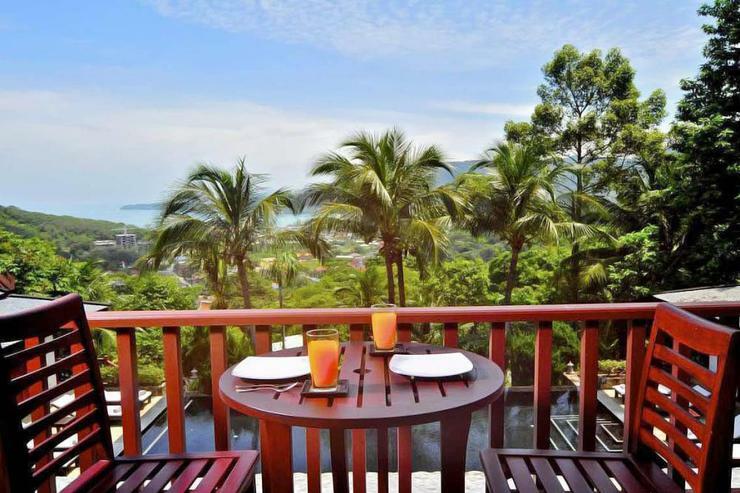 Located in Kamala beach, Phuket. Villa Romeo is a in Thailand. 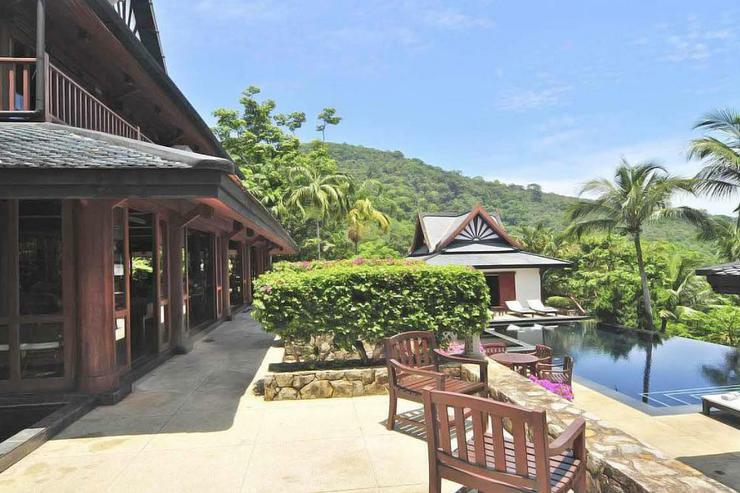 Located in Kamala beach, Phuket. 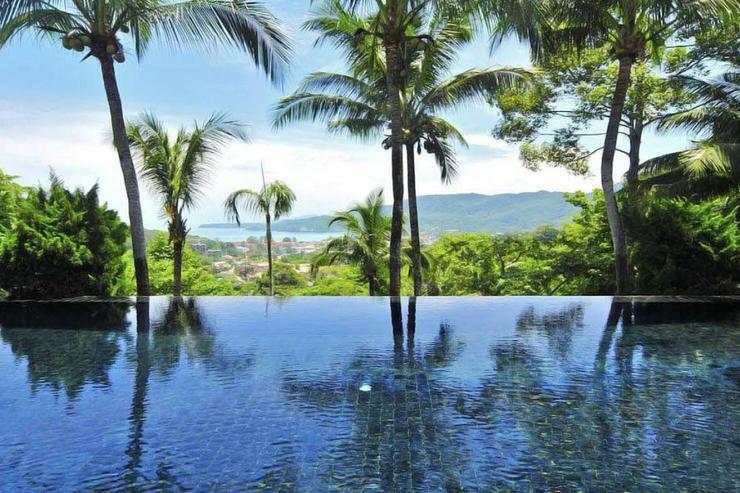 Villa Fantasea is a in Thailand.